Inside: Every food allergy parent worries and wonders how to keep their food allergy kids safe at school. And while there will always be worry, these 11 essential tips will help keep them safe when you’re not there to protect them. Disclaimer: All food allergies vary in type and severity of reaction. This is not intended to replace medical advice. Please consult your physician for medical advice. Back to School Prep is underway and most parents are worried about who their child’s teacher will be and how soon their child will make friends. But for us Food Allergy Mamas, our #1 concern is, and always will be: When I send my food allergy kid to school, will they stay safe? And then we worry every day we send them off. Will today be the day someone packs a pb and j for lunch? Will today be the day he touches peanut butter and forgets to wash his hands before he eats? I have come to realize, that as a Food Allergy Parent, there’s a fine line between keeping our kids safe and having them living in an isolated bubble. And there are choices to be made at every turn. What you choose must depend on your comfort level, the severity of your child’s food allergy, and your school’s policies and general attitude towards handling food allergies. You have to do what’s right for your family. And since we’ve had our son in three very different elementary schools all across the country, we’ve learned that every school is completely different in the way they handle allergies. Which then changes the way we manage our son’s allergies. 1. Have 2 Epi Pens at school at all times. 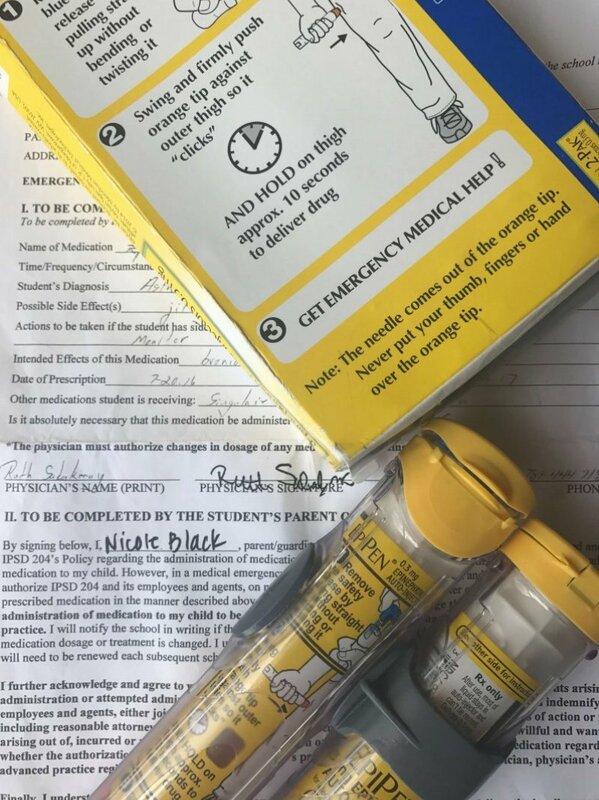 The epinephrine auto-injector pens need to be accompanied with the correct paperwork and an emergency action plan that everyone knows about. Both Epi Pens come on all field trips. I usually put a friendly little reminder in thick black sharpie on the field trip permission slip. Check the expiration dates on the meds you give to the school and put a reminder in your calendar to replace them when needed. Schools don’t always check. 2. Make sure your child’s teacher and the lunchroom staff have been trained and prepared for signs of an allergic reaction or anaphylaxis. And check to see what kind of medical staffing is available if your child is having a reaction. I often remind those caring for my son that if he mentions his tongue feels funny or his throat itches or feels scratchy, those are the words kids often use to describe an allergic reaction. It’s not the time to question them. It’s the time to take action. 3. If your school allows it, provide a sign to hang outside your child’s classroom door that states it’s a Nut Free Classroom or a Nut Free Zone. Every school’s policy is different. Our Massachusetts school wouldn’t allow it, but our Illinois and California schools both jumped at the chance to post them. I love seeing this sign up on my son’s classroom wall. It’s an easy way to communicate to everyone that it really does take a village to keep our food allergy kids safe at school. 4. Ask to have a letter sent home to the other parents in your child’s class explaining that there’s an allergy, what foods to avoid sending in, and a list of safe snack ideas. 1 in 13 kids have a food allergy. Chances are, the school or the district has a letter on file and are more than happy to send it home. Some food allergy parents like to keep their child’s allergy private and don’t want to call attention to it. I understand the need for discretion. Sometimes. But I am a firm believer that everyone should know about my child’s food allergy. The more people we tell, the more people there are who might notice a reaction. There will be more adults and children who are sensitive to his dietary needs, which in turn creates more awareness and better understanding of food allegies. 5. Avoid buying hot lunch, especially if the school’s food provider is not clearly avoiding your child’s food allergy. Some schools are completely nut safe and post every last ingredient on their website, while others still serve peanut butter and jelly sandwiches on their school menu. 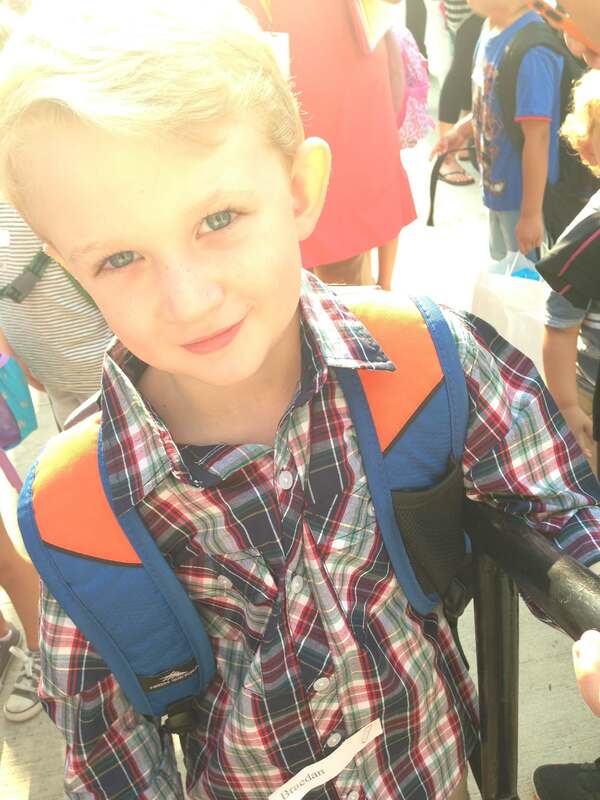 We were able to avoid my son buying lunch for a full year. But after that, he wanted to partake with his sister and friends. Our school lunch program in both Massachusetts and Illinois happen to be nut safe. 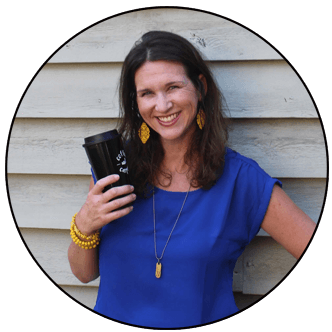 I poured over ingredient lists and allergy charts, and interviewed nutritionists who decide the menus. It still makes me nervous because it’s out of my control, but it’s a calculated risk that our family has decided to take. Again, do what’s best for your family. Just know that your child will be much safer when you prepare their meals yourself. 6. Request that the kids in your child’s class wash their hands before and after lunch with soap and water. Many teachers use hand sanitizer because it’s so easy. But while the goo may be great for germs, it does not eliminate food proteins. If the teacher doesn’t want to have the whole class make a trip to the bathroom, at least insist that your child does. 7. Provide alternative treats to be left in the classroom for birthday parties or class parties. Schools vary on their policies in regards to this. 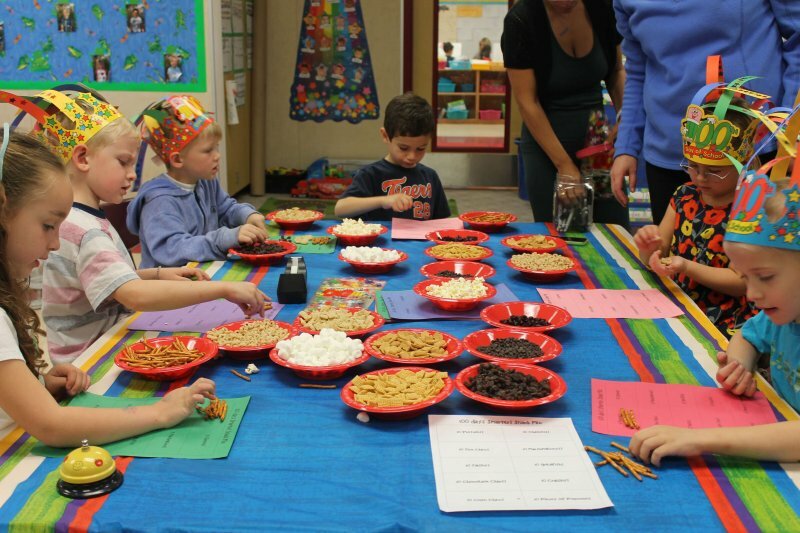 Our California school allowed food treats for birthdays and class celebrations, our Illinois school requires a permission slip to eat any celebration food, and our Massachusetts school had an absolute zero food policy for celebrations. If food is still allowed for celebrations at your child’s school, choose a treat to keep in the class that your child loves so they won’t be as disappointed when they can’t eat what their classmates eat. We kept prepackaged Rice Krispie Treats in the teacher’s closet. Get to know the Room Mom and ask her to send you pictures of all the ingredients for class parties. Or better yet, volunteer to prep and make the food that’s served so you know it’ll be safe for your child. 8. Choose where your child eats lunch carefully. 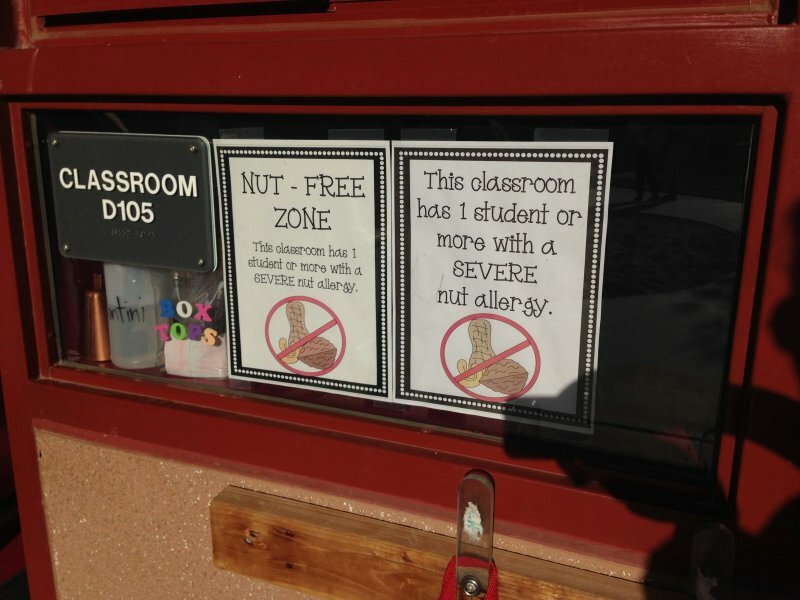 Again, every school has a different policy, but most schools now have “nut free tables.” In California, that’s where my son ate. In Illinois this year, after much deliberation, our son will sit at the end of the regular lunch table so he’s only exposed to possible nuts on one side of him. This is where the balance of safety vs. social isolation comes in. My son hated sitting at the nut free table because he often had to sit alone. He watched his friends laughing together across the room and couldn’t join in. We told him this is a trial run and if there are issues or allergic reactions, we’re pulling the plug. I’m going to send him with a piece of wax paper in his lunch box to use as a placemat this year to avoid cross contamination. By the way, our school in Massachusetts had the absolute best policy in the world. They had a “nut table.” If you forgot and packed nuts in your lunch, you were the one who had to go sit away from your classmates, rather than isolating the child with the medical condition. 9. Befriend other moms and ask for their help. 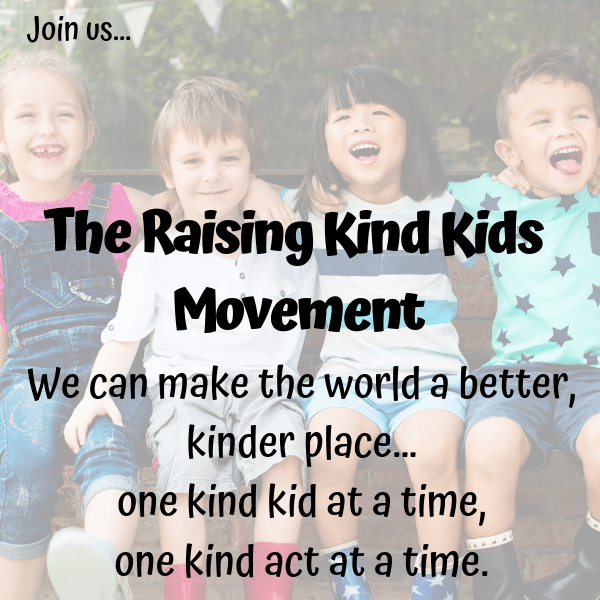 Reaching out to the other moms in your child’s class is huge. 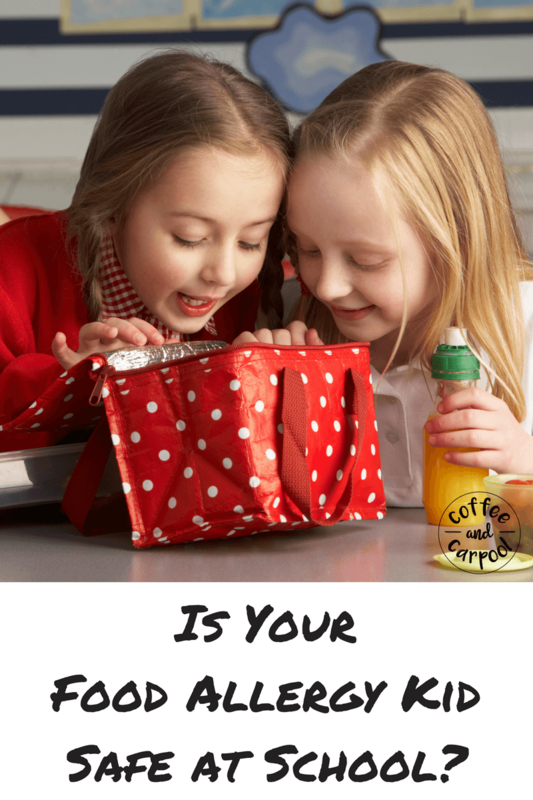 Ask them to only pack safe lunches for your child to be around. That way, your child can sit with friends and be safe at the same time. This was a lifesaver at our California school since all of my friends knew what was safe to pack in their kid’s lunches. He sat near friends whose parents knew how to really read ingredient labels. Show this to other parents who will be around your child and will be food allergy allies. We need everyone around our food allergy kids to know how to keep them safe. 10. Purchase a medical ID bracelet for you child to wear or food allergies stickers. 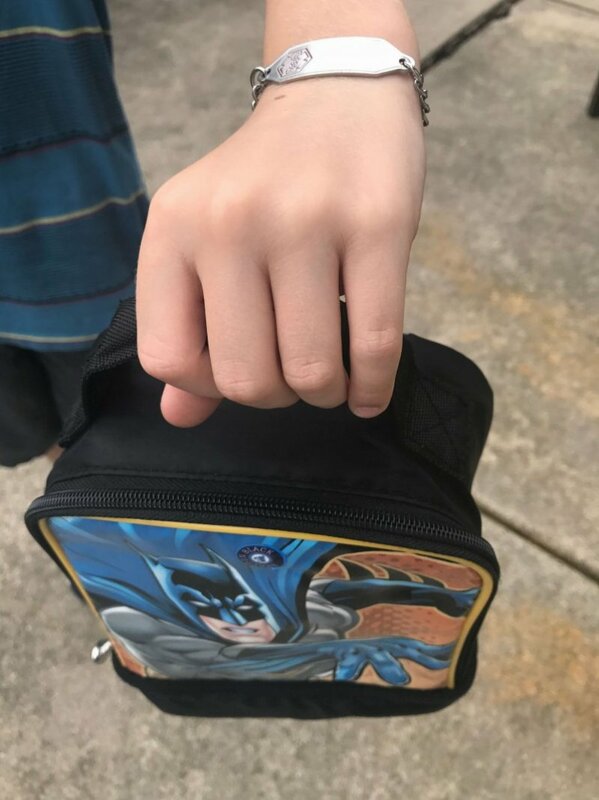 My son wears his medical ID bracelet 24/7. He’s on his second one since his allergies and our phone numbers have changed. He’s so used to it, he doesn’t even think about it. If that’s not an option, try these really cool food allergy stickers that go on your child’s lunch box. This is perfect for really young students, non-verbal kids or children who are newly diagnosed with food allergies. 11. Save the school’s phone number and give the number it’s own personal ring tone. When my food allegy kid is at school, my heart always skips a beat whenever the school calls. And I always panic a little when I see a missed call from them. While we have only ever had one close call at school, I get about 2-3 calls a week from the school’s number. They’re calling about his asthma or my daughter not feeling well or volunteering for something. But for those first couple seconds of not knowing, I always assume it’s his food allergy. When I hear that ringtone now, I race to my phone. Unfortunately, the worry will never go away when we send our food allergy kids to school. Or when we send them anywhere that’s not right by our side. Because it’s always going to be a risk when you’re not monitoring their every move and every bite of food. It’s a huge leap of faith that my kid will stay safe while people I’ve never met safeguard him. But if we have prepared, if we have a plan to avoid their allergies and a plan and a back up plan if they have a reaction (also known as Epi Pen 1 and Epi Pen 2), our children will stay safe at school. And knowing that keeps me breathing. Good luck this school year, Food Allergy Mamas. You’ve got this. For great ideas to manage your child’s food allergy, click here. For more resources about what anaphylaxis looks like, click here. For more resources about how to make an emergency action plan, click here. Need a coupon for epi pens? What other food allergy tips do you have to share with the food allergy community? What works for you and your food allergy kid? Great post! Thanks for all the tips. My kids don’t have allergies thank goodness but I babysit, nanny, and teach mommy and me exercise classes so I’m sure these will help me sometime in the future anyways. Great post with great info. My child does not have severe allergy but there are minor food restrictions. I remain worried when I send my kid to school. I have shared your post on StumbleUpon. Have a wonderful week ahead. Food allergies and intolerances are always a concern. We can only set up a good protocol and have our medicine as back up.